At the end of last year, Ipsos MORI published its 2016 Veracity Index, an annual list of the professions most and least trusted by the public. While it’s always a worthwhile read, the latest Index comes at the end of a year full of surprises that have raised some big questions for 2017. For business leaders, however, the list remains sobering reading and contains nothing to soothe the final remnants of any New Year’s hangovers. Let’s start at the top of the list. Despite the warnings from the erstwhile Secretary of State for Justice that we’d all had enough of experts, this latest Index is topped with them. And despite the daily news stories about problems in the NHS, it seems that we do still trust medical experts. Nurses and doctors top the list, with judges, teachers and scientists completing the top five most-trusted professions in 2016. Police, lawyers and even economists also fare well. It’s encouraging to see that we still have faith in these core pillars of our society, but as ever it’s the professions at the bottom of the table that are of most interest. Once again business leaders, estate agents, journalists, government ministers and, finally, politicians make up the bottom five. It’s unlikely that list will come as much of a surprise, but what’s important to note is – with the exception of estate agents – trust in those professions continues to fall. And even if politicians easily took the brunt of public distrust with a six percent fall last year, business leaders, journalists and government ministers all had a bad 2016. Naturally, we should all treat indices like this with care, but few will deny that trust is an important measure. With stories like ‘Fat Cat Wednesday’ on January 4th, when after just two and half days’ work, the pay of top CEOs surpasses the average UK salary, gaining considerable amounts of coverage, and in the wake of the ‘fake news’ scandal, trust is a currency we simply can’t afford to devalue. If we can’t trust what business leaders, politicians and journalists say and do, how can we have meaningful conversations about the things we care about – from the future of the country, to decisions about our finances or even the sorts of music and films we like. 2017 will be challenging and exciting for many reasons, but it is clear businesses and politicians have got a lot of work to do to rebuild and maintain public trust. 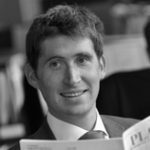 Simon Gill is an account director at Camargue.